What a perfect day to welcome the first 1,000 visitors to Port Stephens from the Jeunesse Global Incentive Group! 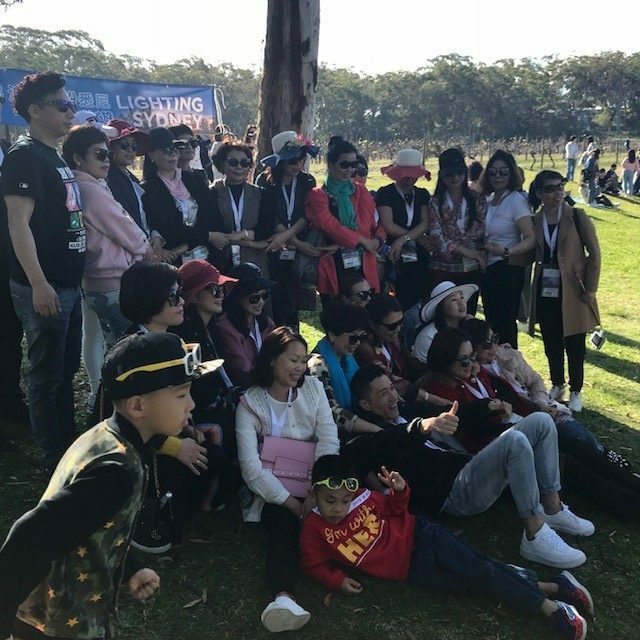 This week and next, Port Stephens will welcome over 6,000 visitors from China and Taiwan who will experience our dolphins and dunes as part of the Jeunesse Lifestyle Rewards 2018 event. Moonshadow-TQC have been working hard to build incentive travel for many years and we hope this will be the first of many incentive groups who will get to experience Port Stephens! Each day, 28 coaches will arrive and split into two groups for a morning and afternoon dolphins and dunes experience. Moonshadow-TQC will host the groups to see our resident dolphins with Port Stephens 4WD, along with the help of Melaleuca Backpackers, taking them on a sandboarding adventure. All the groups will meet at lunchtime at Murrays Brewery where they will not only enjoy a delicious lunch but also get to meet some of the Aussie animals from Oakvale Wildlife Park who will be on site at Murrays Brewery each day. The flow on benefits from this group, mid-week in May are significant and will have a positive impact across the Port Stephens economy and without a doubt, the PR exposure in China will be huge! These guys have been taking heaps of photos and we all know how effective social media and personal recommendations can be in generating travel to a destination. Good luck to all those involved and fingers crossed this amazing weather holds out for another week!